Your business cannot be a success without the support of your customers. After all, they are the ones who buys your product. Therefore, you need to take care of your customers in order to create brand loyalty. Loyal customers (who have visited your store at least 10 times) only make up 20% of your customers but generate 80% of your revenue and 72% of your total visits. So keeping existing customers sweet, in order to maximize their customer lifetime value, can be the difference between your business tanking or becoming the next big thing. Retailers are far more focused on customer acquisition than customer retention, with 40% of businesses prioritising acquisition over keeping existing customers. But they really shouldn’t be doing so. It costs 6-7 times more to obtain new customers than keep your existing ones, so it’s incredibly costly to seek out new customers when you may be ignoring an already loyal existing clientele. Improving your customer retention has a significant effect on profits too; as little as a 5% increase in customer retention creates a 25% increase in profit. Studies have found that the prospect of selling to a first time customer is 5-20%, whereas for an existing customer the probability is 60-70%. 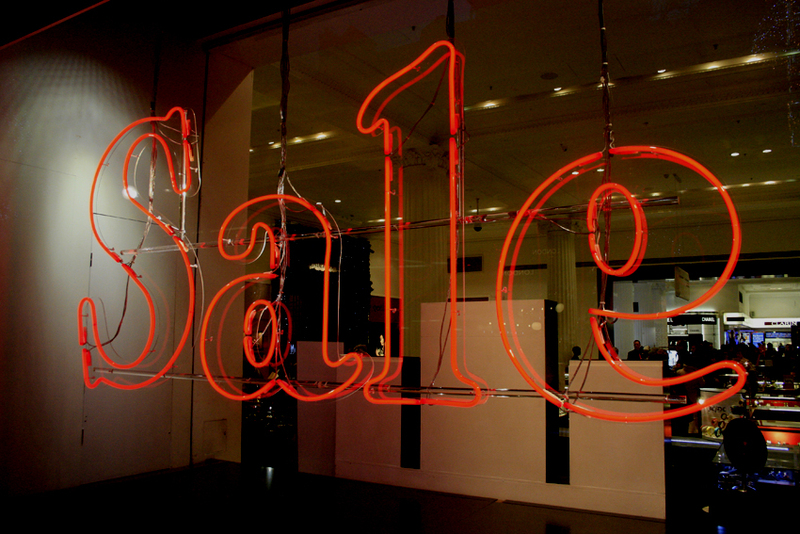 Conversion rates for promotions sent to new customers are also incredibly low, a meagre 1%. So it isn’t worth spending your time nor money on only aggressively pursuing new customers. Instead, by satisfying your existing customers, you are ensuring a far higher return on investment. What retailers need to remember is that customers have a lifetime value. Customer Lifetime Value, or CLV, is the total worth of a customer to a business from the beginning to the end of their relationship. A sustained CLV over a long period of time is more valuable to you than a one-off costly purchase, because it proves your customers are loyal to you. Spending some time and money now to care for loyal customers can be a very fruitful investment in the long run. CLV matters because it also reflects the quality of your products and the service you offer. If people stop buying from you, they either didn’t enjoy their shopping experience with you or had an issue with your products (or both). Regardless of the reason, it suggests there is room for improvement in the way your business operates. Understanding CLV also means that you can implement your knowledge in future campaigns. If you realise that your customers are dropping off quickly, look at why this is happening and improve on it. CLV should be seen as something to be embraced, rather than feared; if it’s high then it shows you are doing something right, if not it is easy to pinpoint where you are going wrong. You may understand the importance of retaining customers, but do you know how you go about doing it? In essence, you should give the customer what they want, within reason. Deals, exclusive clubs and social media interactions are all ways to impress your customers and ensure they come back to you. It is also important to think about how your customers can help you gain and retain new customers. That said, here’s our key tips on how to optimize customer retention. People conventionally shop when they realise they a have a problem to solve. But sometime they need incentives beyond just necessity; they need a deal to encourage them to buy your products. 65% of people actively want retailers to email them with discounts and exclusive offers, so give your customers what they want. This is an easy and simple way of driving sales from existing customers and getting them to browse your website or store for other products. This process can be automated and segmented so that only certain demographics of customers are targeted, making the process incredibly cheap and easy, as well as only targeting the right customers. This proves you know what your customer is interested in and improves your relationship. Customers like to feel special. Creating a rewards or VIP club is a great way of offering your customers an exclusive service in exchange for their loyalty. 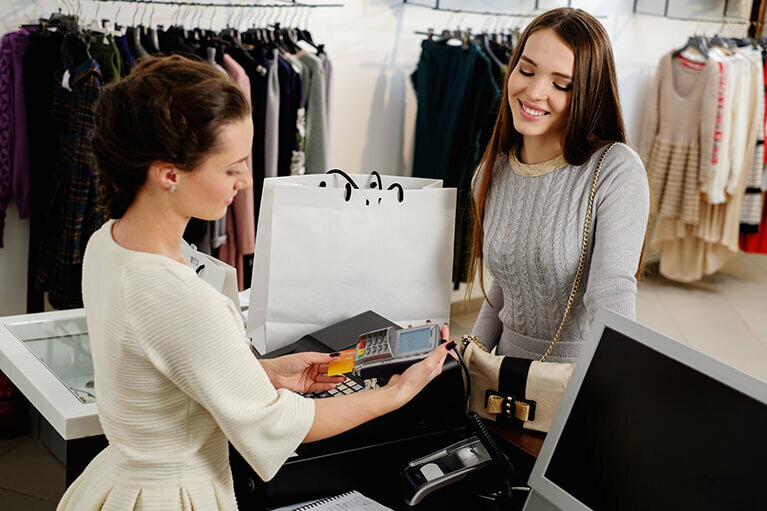 People are encouraged to spend with you repeatedly in order to get something in return or because they cannot pass on the discount rates you’re offering them. These schemes increase customer visits by 12% so are well worth the short-term cost. An example of this is the GO Outdoors Discount Card, which for £5 a year offers you at least 10% off everything both in-store and offline. You also gain early access to sales and if you find products cheaper elsewhere, they’ll undercut the price by 10%. This evidently creates loyal customers; their website is full of 5 star reviews of the card and people encouraging others to sign up because of its amazing value. Users of reward schemes are also 70% more likely to spread word about your business than casual customers, proving that giving back is a vital part of your marketing strategy. Customer retention goes hand in hand with word of mouth marketing; if you have satisfied your customers, they’ll advertise your business so you don’t have to. And people trust people more than they trust brands. It’s a fact. 92% of people believe recommendations from friends and family over marketing directly from businesses. Satisfied customers who you have successfully retained will generate more interest in your brand by talking about it with friends and posting on social media. GoPro is an example of a company whose customer base did the advertising for them. In 2013, 2.8 years worth of Youtube footage with GoPro in the title was uploaded. These videos not only proved the quality of the camera, but the quality of the experience you can have with it. As a consequence, GoPro’s sales doubled every year from 2012 to 2014 and 50 million GoPro related videos were watched in the first quarter of 2014 alone. GoPro’s customers ended up being far effective at promoting the brand than any marketing team could be. The way people shop is changing, so the way you appeal to customers needs to change too. 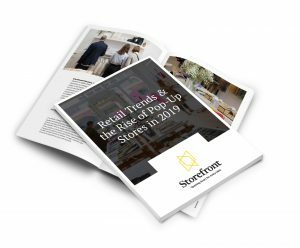 While it is no surprise that 59% Baby Boomers and 72% of seniors prefer shopping in store, the figures for younger generations are surprising. While 56% of Generation Z prefer shopping online to in-store, while a staggering 98% of them shop in brick-and-mortar stores. This indicates that physical stores are as relevant today as they have ever been and are by-far the best way to foster brand engagement. 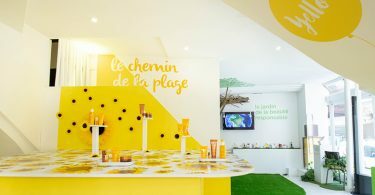 An interesting way of trying to retain customers and entice new customers simultaneously is through a pop-up store. The people who will initially go to your pop-up are your loyal customers; the ones who are on your mailing list, who browse the new arrivals section on your website, the ones who go to your stores frequently. 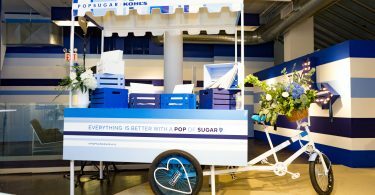 These people will want something different from your brand, so by creating a unique pop-up experience you can show a completely different side of your brand and engage with them on a new level. 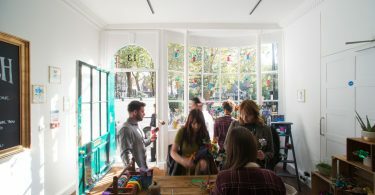 While the pop-up initially may be just to create a new place for customers to see and buy your product, in time they can be unbelievably useful. 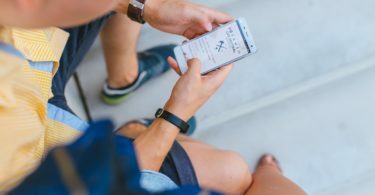 The existing customers will generate publicity for your pop-up through social media posts and encourage friends who aren’t loyal customers (yet) to come along with them. Simultaneously, you are retaining your existing customers by providing a new and unique experience and bringing in new customers who with time and nurturing will also become loyal. 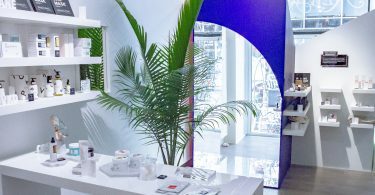 Pop-up stores are the perfect opportunity to explore how to establish your own brand within a physical space. Having a short term retail location means that the damage to your business is limited if sales aren’t what you’d hoped. If you are an online retailer it also gives you the perfect opportunity to finally interact with your customers in real life and gain feedback about new products and your brand identity. But how does this link to customer retention? 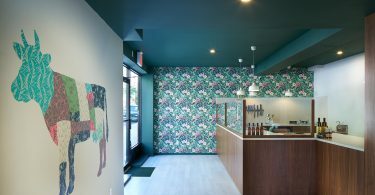 By experimenting with your store, you are bringing the customer into your narrative and brand ideals. Exposure to your brand in a physical presence will also boost your online sales, an intriguing counter-fact to this is that brands closing physical stores experience a 10% drop in online sales. 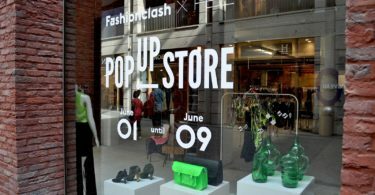 To learn more about Pop-Up Stores, check out how it works or download our free Ultimate Pop-Up Guide. We live in an age where getting in touch with retailers is easier than it’s ever been. This means people can voice the brilliant experiences they’ve had with your brand for everyone to hear. It also means that when people have a bad experience, they’ll publicize it. What many retailers forget that this relationship is symbiotic because they can interact with customers and grow their relationship in order to lock in their trust and custom in the future. If someone is willing to tell you about how great your brand is, reward them with a voucher code or free samples. 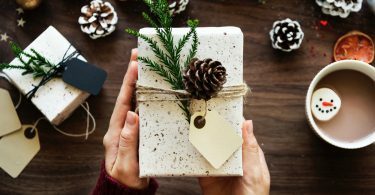 The individual customer will feel honored at your kind gesture, but also other people will see the offer favorably as a token of your generosity. And if you get them to post a picture with the product, it acts as word of mouth marketing within the customer’s’ online communities. People will also try and find other ways to get your attention to win offers and freebies, so awareness of your product will spread. This is the easiest and most cost effective way to ensure customer retention through social media. But how can you increase customer retention with those less-than-happy customers? If customers have a problem with your products or service, you can deal with them politely and considerately to try and calm the situation. You can use the same method of offering free merchandise and discounts to disgruntled customers, in the hope that they will be drawn back to stores by your gestures. It’s damage limitation at its most crude, but it will keep at least some disgruntled customers on your side. If you know people didn’t repeat-buy from you because your products were of a poor quality, consider changing your supplier. Maybe improve your customer service, the atmosphere of your store or the ease of your shopping experience. Learn from the mistakes you have been making and rectify them, rather than putting your fingers in your ears and hoping for the best. Once you have learned how to retain customers, you need to understand the value they are bringing to your business. There are numerous formulas and equations out there that can calculate or predict customer lifetime value, both potential and actual. With only 42% of companies capable of measuring customer lifetime value at all, being able to understand this metric really gives you an edge over your competitors. Find the moments where value is created. Compile customer records so you can plot their journey. Measure profit at each point in their journey. Add together over the lifetime. Identify why the customer moved from one moment to the next. Through this methodology, you can identify the points at which your customer has transitioned from being someone who is interested in your brand and buying their first product with you, to someone who is a fan of your brand and an indisputably loyal customer. If you have it on record, you may also be able to trace what inspired them to buy from you (whether it was a promotion, special events, specific product launch etc.) in order to gauge which of your marketing initiatives are most effective. It may be hard to think of moments to seize to track the journey from the first purchase onwards. But why not use occasions, such as when the customer gets to the point of sale in your store, as an opportunity to harvest data about your customers? This means you can send them your newsletter to keep them up to date with your brand, share offers and promote new products. You can also send them surveys about their experience in order to improve your store and customer service. In future, you can also use them as part of your email marketing campaign, offering them deals and exclusives. You are wasting an obvious opportunity if you aren’t harvesting data in this way. A customer in your store already buying products is obviously a hot lead; after all they have come to your store and bought a product therefore you are already assured of some loyalty. Staying in touch with a customer who’s already shown interest is the most obvious way to increase customer retention. And by offering them more content, in the forms of newsletters, surveys and offers, you are actively pursuing making them a loyal customer. New customers are important. Really important. But it is those customers who are persistently loyal to your brand, who bring in the majority of your revenue, subscribe to your newsletters and inadvertently promote your brand with word of mouth, that matter most. Retaining your customers and maximizing the quality of their experience to increase their lifetime value should be the focus of your business. In turn, these loyal customers will promote your brand and increase your profits. They really could be the difference between your brand being a moderate or runaway success. 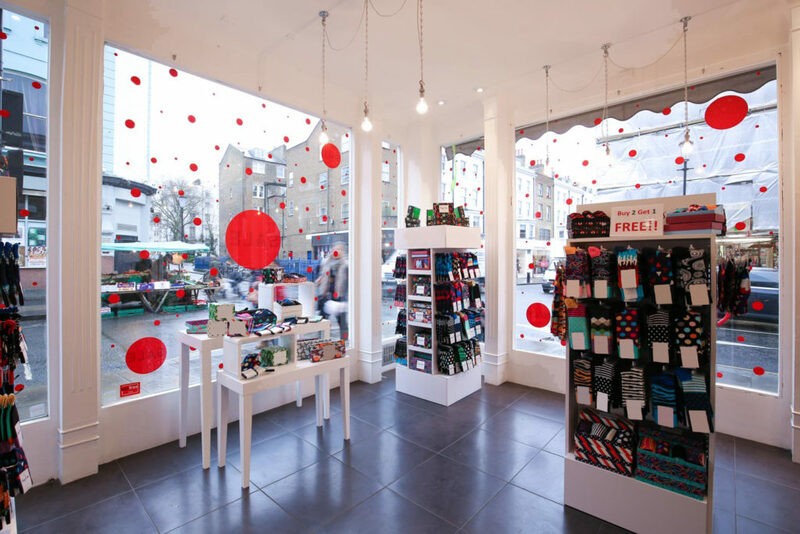 Keep in touch with your loyal customers through temporary retail stores and your brand will reap the rewards. 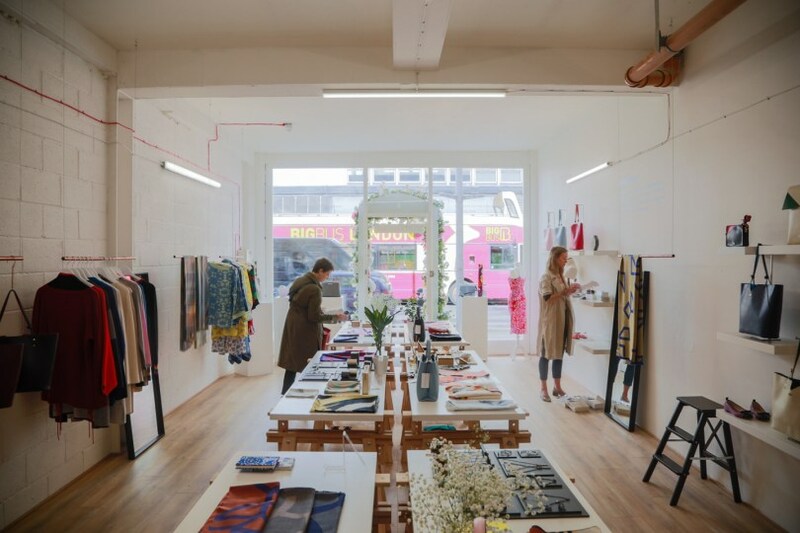 To find and book your ideal Pop-Up Store head to our website and make your ideas happen.